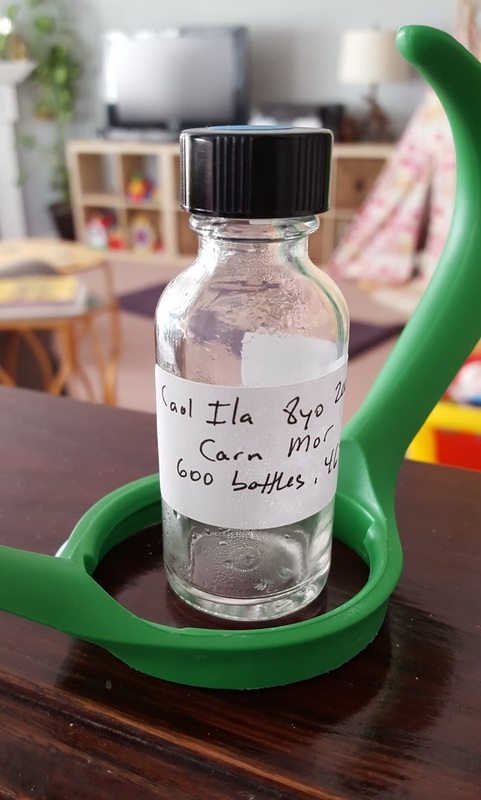 Just to prove I'm not turning into Mr. Caol Ila (thanks to this review and this review), here's a CI that is not immaculate. I took notes on this whisky five weeks ago and then I couldn't figure out where to fit it into my posting schedule. It is a whisky that's still available in Europe, so maybe this review will actually be of use to someone. Man, what another great intro. Hmm, what else. I nabbed this sample at the LA Scotch Club curling event a couple months back. Curling is really difficult. A light amber color. So far so good. The nose begins with minty peat, oatmeal, and an almost sherry-like nuttiness. Cinnamon candy, vanilla, ash. Mezcal. Quiet for a young Islay. The palate is sugary sweet. Burnt things. Bitterness from burnt things. Mild peat, mild barley, a little bit of cinnamon. Some ethyl heat. More ethyl heat in the mildly sweet finish. Smoke residue, saltwater, peanuts in caramel. The nose is quite vegetal. Mezcal and lemony soap. The palate is the same as the nose but with some weird buttery caramel oak thing going on. Buttery texture too. The finish is all cinnamon and black pepper. Very drying. Not bad for a mezcal, I guess. But it's a single malt, see. It's not a total bust. The nose is mellow and inoffensive if one's a peat fan. But the palate isn't great. Very raw, but not in a fun or informative way. Adding water REALLY does not help. It makes one wonder why these two barrels were dumped in 2015. What was the rush? Was one just a total turd, thus the need for a second? They needed either more maturation time or to be traded off to a blender. Go Team Kilchoman! Have you had other Carn Mor's? (I never.) It makes you wonder if they feed at the bottom of the whisky pond. I've seen a number of their bottles for sale on European retailer websites, but this is the first I've tried. Between this whisky and their uninspiring website (and the other brands the company owns), I'm in no hurry to try another, especially since the prices on their young stuff aren't great.